Bitcoin is seemingly unstoppable right now. The cryptocurrency topped both $2,000 and $2,100 for the first time on Sunday night/Monday morning. 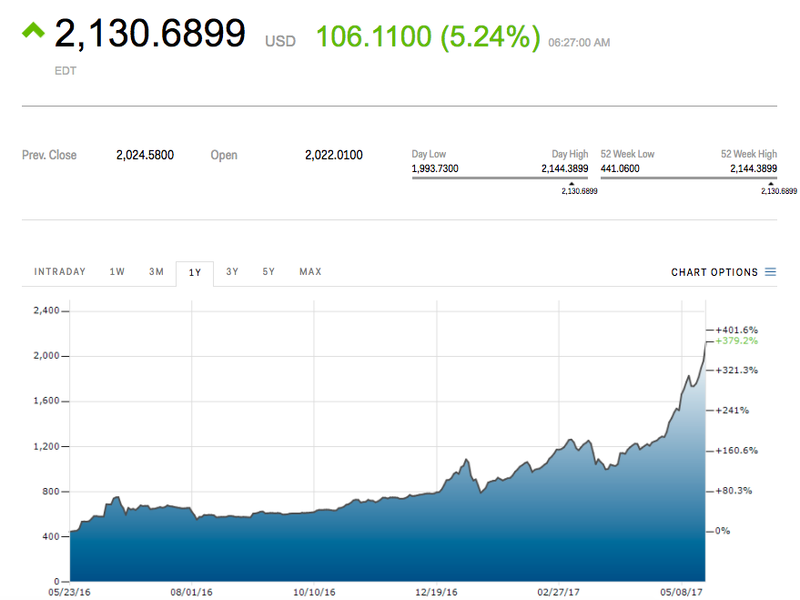 It’s now trading up $106.11, or 5.2%, at $2130.69 a coin. Monday’s advance has been fueled by further weakness in the US dollar, and news that Peach has become Japan’s first airline to accept the cryptocurrency, Bloomberg says. Bitcoin has gained in 24 of the past 27 sessions, and is up more than 82% over that time. According to CoinMarketCap.com, bitcoin now has a market cap of nearly $35.9 billion.